“I am not chosen because I am the most capable,” said newly created Cardinal Joseph Coutts in an interview published August 9, 2018, by Fides News Agency. The Cardinal made his remarks on his return to Pakistan after the celebration at the Vatican on June 29, in which he was created Cardinal. Messages of congratulations continue to arrive from civil and religious leaders. “For me, the creation to Cardinal will mean doing more for my people and for the universal Church”, the Cardinal told Fides. Fr. 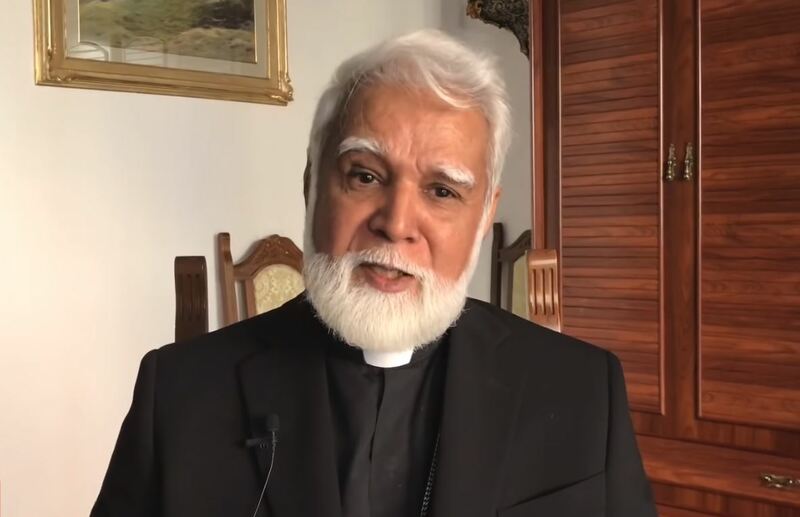 Saleh Diego, Vicar General of the Archdiocese of Karachi tells Fides that people, lay groups, political leaders, government officials and NGO personnel are still visiting the Cardinal to congratulate him. Cardinal Coutts plans to visit all the parishes of the diocese. The Cardinal recalled the festive reception received: upon his arrival from Rome, an array of over 200 motorbikes escorted him from the airport to Saint Patrick Cathedral in Karachi and along the street the faithful dressed in their traditional clothes, garlands of flowers, bouquets of flowers and flower petals accompanied his journey. “I am happy with the messages and visits I receive from all over the country not only from Christians but from many non-Christian groups. It is a moment of joy but at the same time, it is a great responsibility for me. I invite all the faithful to support me with prayer”, Cardinal Coutts told a crowd of over 5,000 gathered in Saint Patrick Cathedral. The Cardinal concelebrated the Mass of thanksgiving for his creation to Cardinal with all the Catholic Bishops in Pakistan. According to the pontifical decree, he will be the titular of the Church of Saint Bonaventura at the Palatine in Rome.